Positive Reinforcement is the term used to represent a method of changing behavior that uses rewards as the motivator. 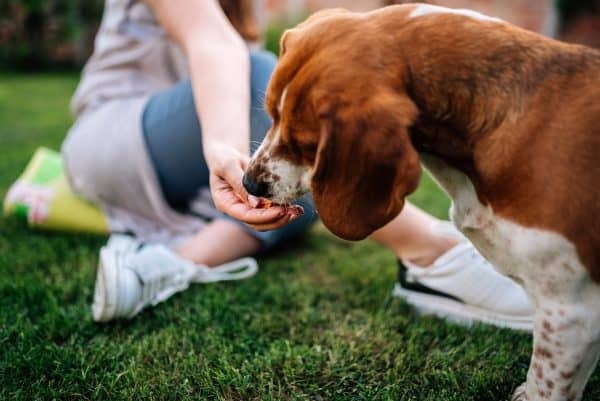 Therefore, as a dog does the "right" behavior, they are rewarded with a treat. In contrast, Traditional methods of training use force and fear to reduce undesired behaviors. These outdated methods are harmful to the human-pet bond and should only be used if no other option is available. Positive reinforcement training can go by many names. A few include Force-Free, Reward-Based and Cooperative. Above all, anyone looking to become a dog trainer should do their research before learning any of these methods. The two main methods are Reward Based (positive reinforcement) and Traditional (positive punishment). Both methods can get the job done, but only positive reinforcement training addresses the mental health of the pet. Below are some of the reasons why positive reinforcement training is beneficial. It develops an active thinking dog. Because dogs are rewarded for the correct behavior, they learn to offer behaviors to get more rewards. Traditional training doesn’t train the pet what to do, only what NOT to do. Such methods develop a reactive thinking dog that is fearful of trying new things. The human-pet bond is strengthened. The reward becomes the motivator, instead of the fear of a correction. This creates engagement with the handler and builds trust between the two. This engagement becomes the foundation of success for all future training. It builds confidence. An active thinking dog that has been socialized to their environment is a confident dog. Confidence is hugely important in the lifelong happiness of a pet. Confident pets have a reduced chance of developing codependent behaviors. They are also better socialized and have a reduced risk of being relinquished. 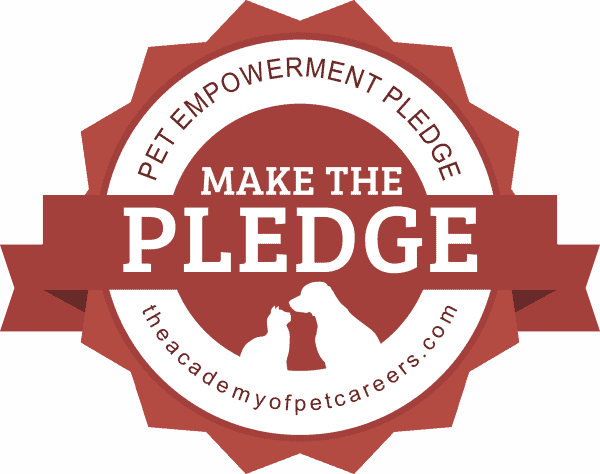 Learn more about Pet Empowerment and what you can do to build a stronger bond with your pets by taking the Pet Empowerment Pledge. As our primary focus, this method adds something the dog wants (+) to increase the likelihood of a desired behavior (R). An example is when you giving a dog a treat when it sits and the behavior increases. Next, this method removes something the dog wants (-) to decrease the likelihood of an undesired behavior (P). An example of this is when you remove your attention when a dog jumps on you to decrease the behavior. This method removes something the dog dislikes (-) to increase the likelihood of a desired behavior (R). An example of this is when a dog stops pulling on its leash and the pressure from the collar decreases. Finally, this method adds something the dog dislikes (+) to decrease the likelihood of an undesired behavior (P). An example of this is adding a correction when a dog barks to decrease the behavior.